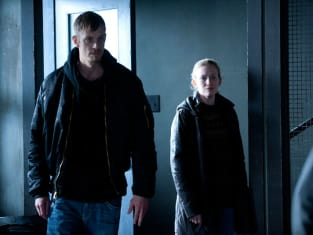 On this Sunday's season finale of The Killing, viewers will find out who killed Rosie Larsen. No, really! We know you've heard that before. But Sarah and Holder's investigation really will come to a conclusion on "What I Know," while Richmond maps out on a bold new course and a shocking source helps bring closure overall to the Larsens. What should fans expect? Watch the official AMC trailer now and then respond below. So... who do you think killed Rosie Larsen?